Most people aren't trying to kill their real estate transaction - rather, they unwittingly make a mistake that leads to the termination of the deal. Today, we want to give you a few tips on how to avoid such an unfortunate situation. If you're selling your home, you need to avoid pushing buyers over the limit. You don't want to ask for too much. You don't want to let the buyer put one over on you, but you have to know a good deal when you see one. As a buyer, you need to stick to your terms. You want to make the time periods for inspections and closing move along smoothly. You also want to have as few contingencies as possible. One of the most important things you need to do when negotiating is strip away all emotion about the transaction and deal only with the facts. This will keep you on track to a successful closing. If you have any questions about this stage of the real estate transaction, or if you need real estate assistance, we are happy to help! What Steps Can You Take to Improve Your Offer? Northern New Jersey real estate expert discusses how to get your offer accepted. Today we are excited to talk about some of the secrets to getting your offer accepted. Multiple offer situations are fantastic news for sellers, but what are buyers to do? When competing with other buyers, it comes down to motivation as to who is going to win the home. If the home is perfect for you and your family, there are some steps you can take to submit a winning offer. The first thing you can do is improve the terms of the contract by doing things such as moving up the closing date, or putting more money down. If you know that you want to be in this home for a while, be prepared to make an offer over asking price. We would love to help make your home buying dreams a reality. If you have any questions for us, feel free to give us a call or send us an email. We look forward to speaking with you! Northern New Jersey Real Estate Expert discusses steps to consider when making an offer on the potential home purchase. With the market improving here in Northern New Jersey, multiple offer situations are becoming more and more common. To help you survive in this crowded market, we want to provide you with some tips to help you make a competitive offer. First, it's important to get a pre-approval from a lender. Getting pre-approved makes you much more attractive in the eyes of sellers, as it is proof that your finances are in order and you are ready to buy. Next, you need to write your highest and best offer from the start. If you put in a weak offer, thinking you can always strengthen it later, you risk being overlooked by the seller and never getting another shot to negotiate. When submitting your offer, it's best to aim to please the seller. One way to do this is to agree to the moving date the seller stipulates. If necessary, allow the seller to continue living in the home after closing, and offer them post-occupancy. Avoid submitting an offer with contingencies if you want it to stand out. 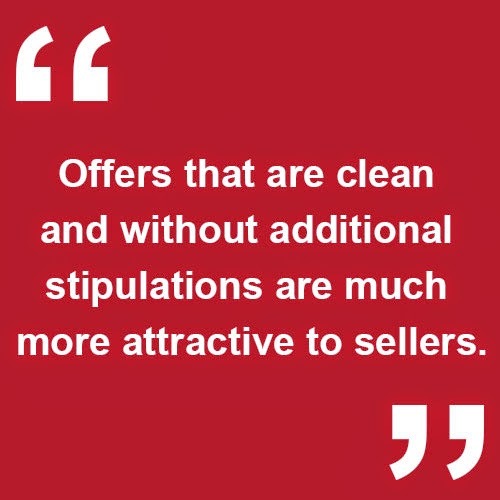 Offers that are clean and without additional stipulations are much more attractive to sellers. Finally, writing a personalized letter is a great way to woo the seller. We call it a "love letter" because it shows you have highly personal reasons for wanting the home in question. In this letter, detail how you plan to take care of the home and explain why you love the home! If you're struggling to find a home in the Bergen County area, we think these tips might help. If you need professional assistance, or if you have any questions, give us a call or shoot us a quick email for the help you deserve. What Are the Risks of Overpricing Your Home? Northern New Jersey Real Estate Expert discusses the importance of pricing your home properly. Today, we want to briefly discuss the dangers of overpricing your home. Buyers look in price brackets: If you price your home well above what it's worth, you're losing a lot of potential buyers who will simply pass it up, which will result in fewer offers. When buyers pass up your home, they look at other homes: If homes similar to yours are priced much lower, buyers will have no problem making an offer on your competitor's home! Starting high and coming down later is risky: You're missing out on a lot of buyers by waiting a long time to price your home fairly. The first 30 days are crucial for generating interest in your home. Your home will be compared to better homes: If you price your home into a higher price bracket, buyers will be comparing your home to ones with more amenities, features, and benefits. In other words, the people who will appreciate your home won't see it. Your home takes longer to sell: When your home sits on the market for a long time, buyers and agents alike start to wonder whether there is something wrong with it. Buyers will often think they can submit a low offer on a home that has been on the market awhile. Consider these five points when pricing your home. 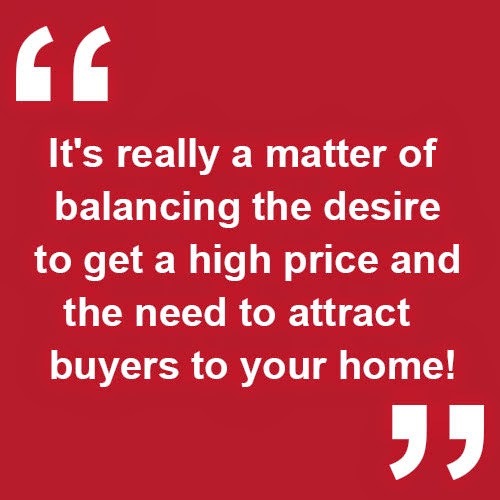 It's really a matter of balancing the desire to get a high price and the need to attract buyers to your home! If you have any questions about getting the most when selling your home, or if you need real estate assistance of any kind, give us a call or shoot us a quick email. We would love to hear from you! Why Should You List Your Home Sooner than Later? Why should you list your Bergen County home now, before the spring market is in full swing? It's a good question, and one we get a lot. Today, we explain the benefits of getting your home to market early. Homes are selling every day: In the last 60 days, over 225 single-family homes have sold in our area. The transfer market is extremely active: This is the time of year that people who have been offered jobs in our area are out looking for a place to live. You can change the closing date: By the time your home goes through the entire closing process, it will be early summer and you won't have to rush to find a new home! Buyers have fewer options: Inventory is low right now, and buyers are gobbling up the best homes as they come on the market. There is a 25% deficit in inventory compared to where we usually are, and demand has only increased. Interest rates will rise soon: Right now is the perfect time to take advantage of low interest rates. Instead of waiting until later and having to deal with rates as high as 5-6%, you can lock in a rate between 3-4% right now, which will save you thousands in monthly payments over the course of the loan! 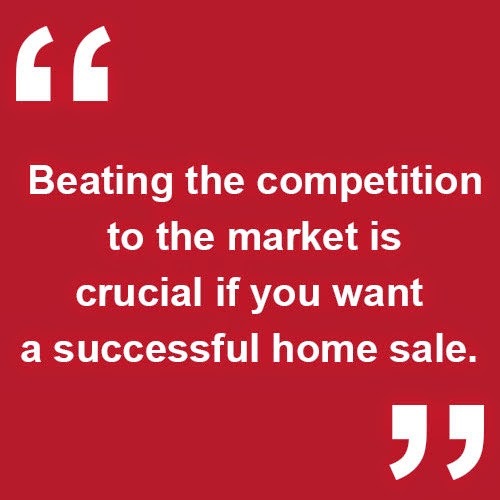 It's pretty obvious: beating the competition to the market is crucial if you want a successful home sale. If you want to take advantage of these fantastic selling conditions, or if you need real estate assistance of any kind, don't hesitate to reach out to us! We would love to hear from you! Are Open Houses in the Northern New Jersey Area Worth It? Northern New Jersey Real Estate Expert discusses the ins and outs of the open house processes. Hi, I’m Debby Adler with the Adler home team. Today we wanted to speak to you about open houses. Many clients ask us if it is productive to hold an Open House, and the simple answer is NO. Putting an ad in the local newspaper and posting a yard sign typically allows nosy neighbors and unqualified buyers “who are just curious” to tour your home. Agents will sometimes only hold open homes in an effort to get more business from other prospective buyers. The reality is that qualified buyers don’t typically attend open houses. Most often they go through with their agent for a private showing to avoid the crowd. 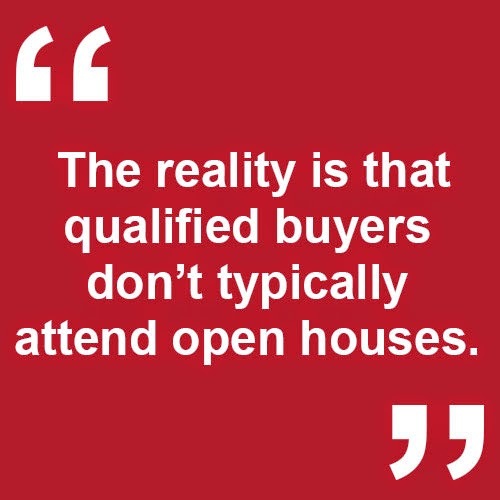 But that doesn't mean ALL open houses are just a lead generating pool for agents. A successful open house includes sending invitations to agents along with qualified buyers highlighting the best features of your home. Another open house that typically gets attention is a Broker’s tour. Unlike public open houses, this is held on a weekday just for agents to do a preview tour for their clients and is typically held just after your home goes on the market. This is a great idea to get the serious buyer’s agents through your home. It is best to discuss these options with an agent to see what best fits your needs. How Can You Make the Most of Your Northern New Jersey Home Renovation? Bregen County Real Estate Expert discusses the importance of renovating with care. Gives simple tips to avoid costly mistakes. There are many great Northern New Jersey area homes for sale. 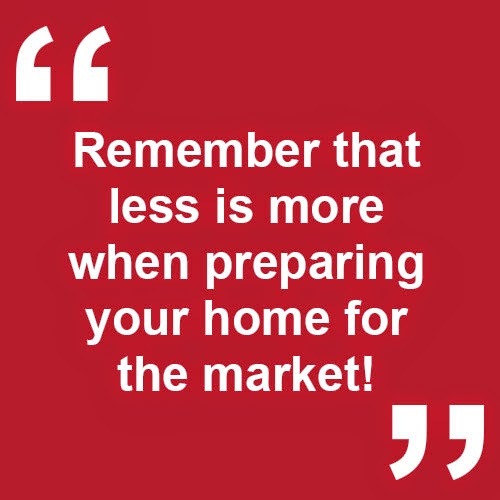 Click here to perform full home search, or if you're thinking of selling your home, click here for a FREE Home Price Evaluation so you know what buyers will pay for your home in today's market. You may also call me at (201) 825-1266 for a FREE home buying or selling consultation to answer any of your real estate questions. Hello, and welcome back! Today, we want to share some quick tips on remodeling! For most homeowners, selling a home is an event that takes place once, maybe twice, in their lifetime. The experience is completely foreign to them, and they may be carrying old ways of thinking into a process that has changed over time. Because of this, we recommend that you proceed with caution before remodeling your home. Besides keeping a neutral color palette throughout the house and updating kitchens and bathrooms to a modern state, remember that less is more when preparing your home for the market! Depending on the market, your home may already be at the maximum limit in terms of value. If that's the case, putting money toward renovations and upgrades to the property could end up being a waste of your money! If you want to sell your home soon, the last thing you want to do is start a lengthy renovation project. Before you make the decision to make changes to your home, we recommend sitting down with a real estate professional to discuss your options. It's in your interest to know the value of particular renovations before they're under way. Don't hesitate to give us a call or shoot us an email with your questions and concerns. We would love to hear from you!